All Members Are Required to Check-in Once a Month. Check in is found on your profile page (on sidebar). Are you like us? Standing alone in a sea of young'uns listening to the chatter around you. Occasionally you reach out trying to understand the bizarre creatures flowing past you, trying to communicate enough to make a few good friends, a family. But no matter how hard you try there seems to be something about the generational gap that causes your heart to seize up in terror as you instinctively back slowly away from the raging sea of hormones into a cave of quiet solitude? Well we say "Hide No More! We see you. We know you are out there looking for us, just as we are searching for you!" Yes, you… an adult, braving the seas of teenage angst, praying for a chance encounter with another adult. That blissful moment of understanding when you can talk about something without having to re-define words and explain the rational concepts to your thoughts on a fifth-grade level. Yes that moment is rare indeed, but it can and does happen! We adults are the minority in RS. We are the young at heart and soul who fell in love with the world and challenges Runescape offered. We choose to hang in tight through all the developmental growing pains; watching our friends grow up, move on, pass on and leave us standing alone, lost, a remnant of a bygone era holding tightly to the game we love. And through the years we have learned the art of Juggling. Juggling our lives that is, Real World and Runescapian. As adults we have to manage busy schedules that involve responsibilities to our families, friends, and work often finding that we do not have much time to enjoy Runescape as much as we would like. This means that when we are on Runescape, we want to spend our time in the manner we see fit. We don't want to be forced to attend a clan event on a skill we don't even like to do. All we really want to do is relax, hang with friends, chat a bit and work on our various pursuits Does that mean we are not up to a good ol' clan event occasionally? No! It means we are adults and we define our RS lives, just as we define our Real World lives - choosing to attend family events when we feel like it and when our time allows us to. With this philosophy at heart, we wish to invite you, the adult remnants of Runescape to come join us, the last standing adults in the Remnantz clan. 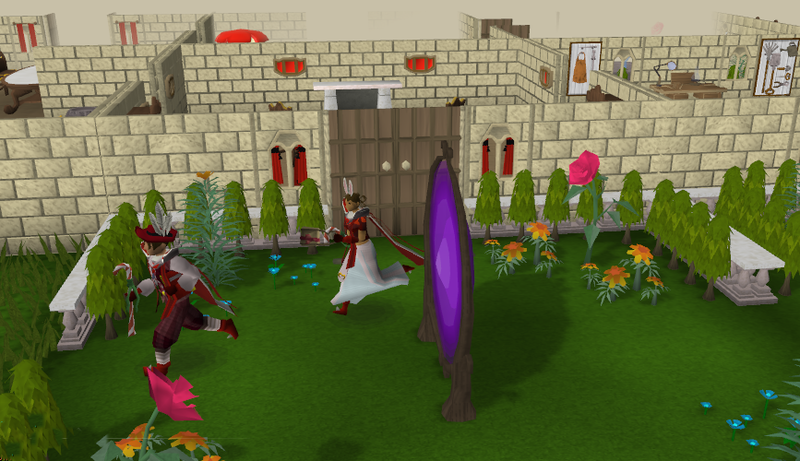 Hopefully you like what you see and will find a home-away-from-home on Runescape where you no longer have to be alone. We are a non-warring skill based clan. We enjoy combat; we just don't like to beat up other clans. Our mission as a clan is to make playing Runescape as enjoyable as we can through friendship , group involvement and a sense of family. Please do not ask us to assist you in fighting other clans. We are based on Eastern time (GMT - 5) on our events. Our members are Adults and for the most part very mature; most work, so hours of play vary. You must be 18 or older to join. The Remnantz is a pay-2-play clan. Click here to find out more on how to join the Remnantz. friendships on Runescape and all of Jagex's other entities.